Condos changing hands led to a six per cent rise in March fales for one Canadian city, likely the result of first-time buyers giving in to low interest rates. 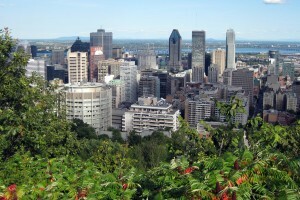 Montreal recorded more than 1,300 condo sales during the month of March, a seven per cent increase from the year-ago period and a 36.3 per cent hike over February sales. “The effects of the recent decreases in mortgage rates were finally felt on the real estate market, as many consumers were convinced that this is an opportune time to buy a property,” said Diane Ménard, vice president of the Greater Montreal Real Estate Board’s board of directors. Single-family home sales were also up, rising seven per cent year-over-year. Sales of multi-plexes, however, fell seven per cent as investors struggled to find available rental properties in the city. Average prices, though, were up across all property types, rising two per cent to $285,000 for a detached property and rising four per cent to $235,000 for a condo. New listings, however, were also up slightly, rising five per cent from the year-ago period. Active listings, however, were up just 3.1 per cent from February.